And another post in honor of our one week summer. The sun is actually shining at the moment, so I shouldn’t complain too much, but we’re down to 18°C again and that’s not really summer now, is it? Anyway, popsicles are all over the internet at the moment and you can find a large variety of popsicle molds in the shops and of course, I couldn’t resist. 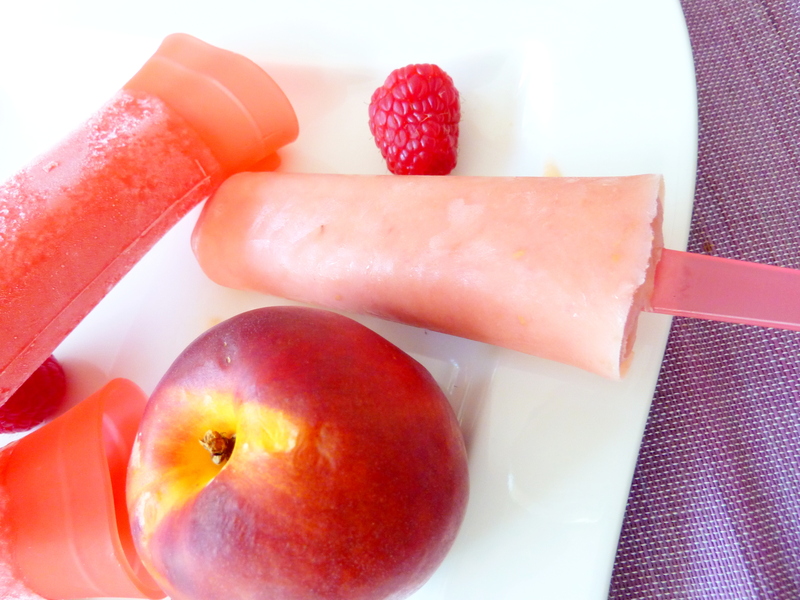 I’ve bought three different types so far and the most practical and easy to use are definitely these Ice Pop molds. 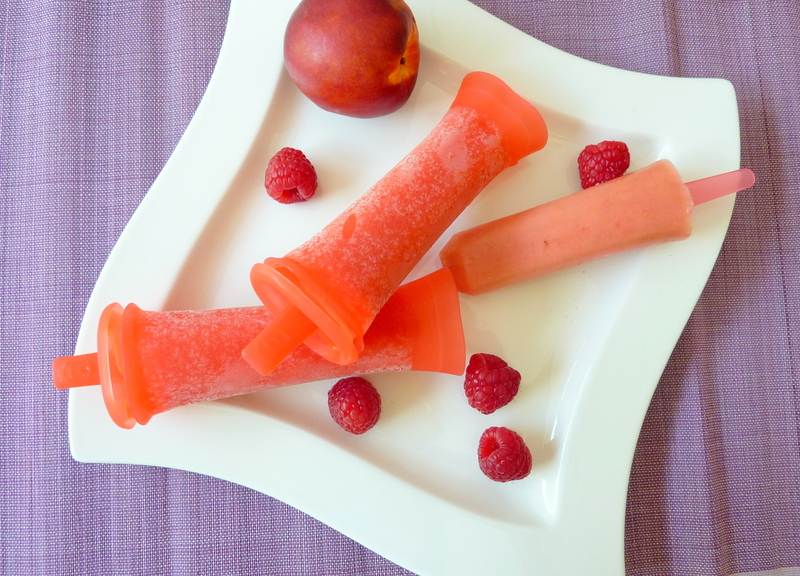 You can use them with the stick to make popsicles or without the stick and eat the ice cream from the mold. This weekend, I had a few leftover nectarines lying around that needed to be taken care of rather quickly. And since I’d just bought my new popsicle molds, I didn’t need much pondering to figure out what I was going to do. The week before, I’d made mango orange pops and while they were delicious and refreshing, I wanted something a bit more creamy this time. So I mixed the nectarines with a cup of greek yoghurt and added a handful of raspberries to add an additional flavor and I must say, these two combine well as you can still taste both the nectarines and the raspberries without one of them being predominant. While I don’t have kids yet, I can already see myself making these for them as I’m pretty sure they’ll love the colorful molds as well as the healthy popsicles just as much (or hopefully even more) than store bought ice pops. Wash, peel and seed the nectarines. Roughly cut them into the pieces and mix them in a bowl with the yoghurt, sugar and raspberries. Puree with a hand blender. 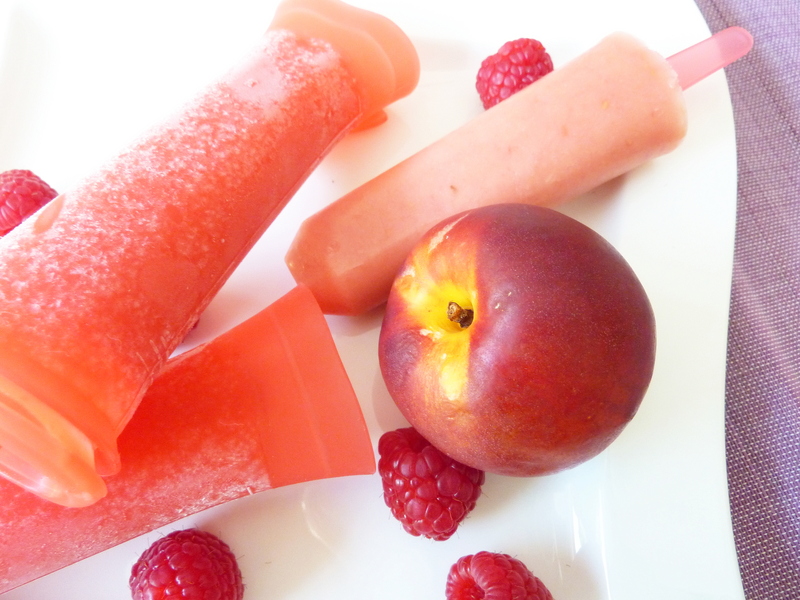 Fill the popsicle molds with the liquid, firmly close the lids and place the molds in the freezer for at least 4 to 5 hours.